Angie's List - Grade A review posted by Catherine P.
"It took a while for us to find a plumbing company we trusted, but this is it. We always call on them for regular drain cleaning as well as bigger projects like a new water heater. Member Comments: Their prices are always competitive and we are always happy with their work: prompt, professional, explaining clearly any problems and our options. Totally recommend." Angie's List - Grade A review posted by Justin G.
"Excellent service. Charlie, the plumber, was very professional as were all of the staff with whom I interacted. I cannot recommend them enough. Everything went well, from the Dave the estimator initially coming to the property to give me an evaluation of the cost to have the work that I wanted done, to Charlie the plumber doing the work." Angie's List - Grade A review posted by Michael P.
"In order to close my house on time, I had to have some last-minute repairs. Power Plumbing came out promptly, even though I didn't give them much lead time. They made the repairs and were prepared to go the extra step of certifying for the buyer that the plumbing was generally in good shape. The best part was that I needed an electrician to come out the next day, Sunday. They gave me the name of an electrician (father and son) who came out on a Sunday, one day's notice. The excellent and reasonably priced electricians are E & W Installers, Inc., (Pat Walsh Sr. & Jr.), 7232 W. Coyle, Chicago (773).443-4681. But without the help of Power Plumbing for the reference I would never had gotten the work done on time." Angie's List - Grade A review posted by Tom M.
"He tested ejection pump and confirmed it was working and then found a clog in the drainage system and cleared it. This job ended up being a service call and we did not have to replace the ejection pump. Saved us some money, at least for now. Good, prompt, courteous service! Overall we are pleased with the service and outcome." Angie's List - Grade A review posted by Michael T.
"Determined source of leak in 1st floor shower & provided a short term solution; replaced fill valve service kit in 1st floor toilet tank; reset the toilet in the basement bathroom; inspected dishwasher line & provided useful advice to correct installation error. Power Plumbing rocks! Starting with the first phone call to arrange the appointment all the way to the service visit and completion of work. Very conscientious, friendly and knowledgeable staff. As a first time customer, I'm happy to report complete confidence that Power Plumbing is a reliable service provider operating with integrity. They may not be the cheapest answer to your plumbing needs but you will get things done properly the first time around. I am glad to have found them through Angie's List!" Angie's List - Grade A review posted by Megan H.
"Cleaned out our dual sinks in kitchen, fixed leaky garbage disposal, readjusted pipes and drains to prevent future issues. We have dual sinks in our kitchen, one which has a garbage disposal and the other just a regular drain. Both drains would start to back up if we ran water down it for a few minutes (IE washing dishes, running water to get it hot, etc). We called Power Plumbing on Monday and got an appointment for Tuesday afternoon. We had Patrick F. perform the services and he did a great job! He declogged the sink and fixed our leaky disposal and crooked pipes underneath. He noticed a few other things which needed repaired under the sink and fixed those also (replacing putty around leaky areas done by previous owners). Patrick really did a great job and explained everything to me as he went along. He was very courteous and even wore those shoe covers during his entire time inside our condo, which I sincerely appreciated. He also made sure to cover the area where he was working with a tarp. I was impressed!" 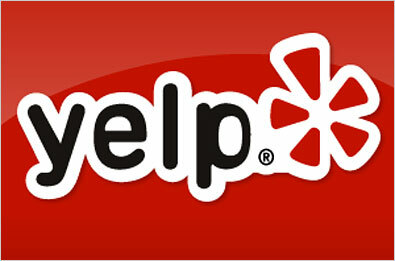 Angie's List - Grade A review posted by Marlene F.
"First of all, I called the company at 9:30 am. I was barely out of the shower and dressed when they showed up at the door at like 10:15. We had some minor plumbing repairs; leaky toilet, running toilet, slow draining sink and drains that were never properly installed in the bathrooms. Fixed in a jiffy, no problem. However, our downstairs pump was the major issue. It was not only broken but water and all other kinds of crap, literally, had accumulated. Patrick was amazing. This was a dirty job. But he tackled it with such a positive attitude and was extremely conscientious of trying to contain the mess. He even volunteered to clean the floors. But for the love of God, he had done enough dirty work for the day.Are these guys good......yes. Customer oriented......you bet. Would I use them again...........in a heart beat. AND, I will be requesting Patrick again. What a super nice guy.Thank you so much." Angie's List - Grade A review posted by Scott F.
"I usually don't write reviews, which should say something as to how pleased I am with this service. I had John Morzy from Power Plumbing come install a faucet, which is simple, but the way he did it was as perfect as could be. He was on time, took off his shoes, had fun stories while he was working, worked quickly. He even fixed my shower head, which turned out it was just clogged. I wouldn't even consider calling any other company if I need plumbing help in the future. I rated the company "A" for price because it seemed a fair price for faucet, but it made it very much worth my while because of the free advice/help with my shower." Angie's List - Grade A review posted by Gregory M.
"Had a hot water faucet in my main floor bathroom would only turn on if you fiddled with it for 2 - 3 minutes like you were opening a safe. Very little water pressure. The drain in the same tub was very slow. Angie's List needs an A+ ! These guys were great. John was the representative that came to my home. He was fantastic. Everything you want in a service person that comes to your home. Prompt, professional, knowledgeable and ready to get to the problem. He fixed everything with a minimal amount of time and fuss. Explained everything he did. Why it was different in my 90 year old house. Lastly, he was friendly and personable. That is the type of person you want in your home. The only thing that could have made this a better service call was if it was for free.. but that not gonna happen. Power Plumbing and Sewer is top notch. That are my new go to plumbing company." "If you have an 80+ year old plumbing and sewage system that needs to be completely replaced, Power Plumbing is the company to call. We called several companies and had a few come out and bid on our job. Power Plumbing was not the least expensive, but it was clear from the start that they were the most competent. Their proposal made good sense. Any questions were answered in a kind and timely manner. Once the village reviewed the proposal and granted the required permit, the job was scheduled and the teams arrived like clockwork. The cement was broken in a very orderly fashion, the old clay pipes and wet dirt were hauled up the stairs and removed from the site. The new pipes were installed. The trenches were filled in and new cement poured. Tight. Solid. Now our home is better than new. Honestly, we couldn't be happier. Power Plumbing handled everything professionally and efficiently. A pleasure to work with. Five stars all the way." posted by Wendi A. "I just want to say that John at Power plumbing, did an excellent job for me, from repair to clean up and at a cost less than the original estimate ! .I discovered after removing my toilet for what I thought would be an easy job of replacing a wax seal, that there was a much bigger problem there. Without going into all the details, suffice to say that John provided service above and beyond my expectations and I would highly recommend him." posted by Gary N.
"Power Plumbing is excellent. The phone staff and technicians are professional, courteous and efficient. My family has worked with PP for years and we always recommend them to friends and neighbors. Patrick recently did work in my tenant's bathroom and they informed me that he was knowledgeable, efficient, pleasant and was also very neat. We've never had anything but a positive experience with this company. I recommend them highly." posted by Peggy G.
"Power Plumbing is simply the best. They do great work at a reasonable price. They give a small time window and stick to it. They even call fifteen minutes before arrival to give you the heads up. One time a few years ago I had a complicated leak in a bathtub. Scott was able to fix it with no problem." posted by Charles G.
"Problem: Hot water heater "popping" and determined from online search that probably need to be drained to remove sediment. Actually have 2 heaters, both very old. Who to call? : Posted recommendation request on our neighborhood group site and Power Plumbing recommend by several neighbors who had used them, as well as some others plumber recommendations. Researched several plumbers via Yelp. Power by far received the most positive reviews. Service Call: Called for an appointment and was scheduled for a reasonable date and time. Reasonable costs was explained. Our plumber, Mike I believe, was punctual, professional and knowledgeable. He clearly reviewed options and actually recommended that replacement of both heaters was probably our best option and gave a reasonable general estimate for doing so, but also indicated that our issue was not necessarily critical at this time. Outcome: We did decide to hold off doing anything for now, clearly understanding that we should not wait too long, which we don't plan to do. We WILL be using Power Plumbing to do our work. Unexpected: Asked if could give a check or credit card for the service call only to be told that this would be a "courtesy call" and that there would be no charge. This was without any prior mention that I had selected Power Plumbing after researching neighbors and Yelp. Truly a quality, professional business. " posted by John W.
Where you can read more about what people are saying about us!